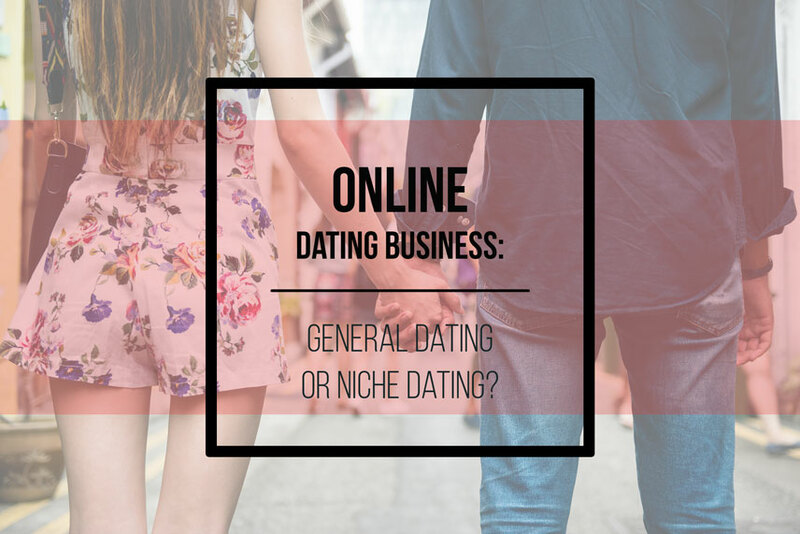 Online dating business: general dating or niche dating? Online dating business has become quite smart these days. A great chunk of people prefer to find a partner online rather than going out and searching for one. Almost everyone these days has an account on one of the dating websites which makes more and more people to invest in the online dating business. The other thing with the online dating business is that it is a very easy and simple service thus making things smoother for you. But the question is whether you should go for a general dating website or deal in any particular niche. Both of them have their own and distinct advantages which make each of them immensely popular. But whether you should opt for general or niche dating depends upon a variety of factors. You should analyze the scale of your business and the region in which you are looking to compete with the others. Be very peculiar about the choice of people in your area and when they are willing to meet with people of various niches. Then you can go for general dating or else for niche dating. General dating business – what are the advantages? The first and the most common choice is general dating. Almost 75% dating websites deal in the general dating only. It gives you the luxury and liberty to engage with people without any kind of restriction. With the general online dating business, you have an advantage that your target audience is immense something which is not the same with the niche dating. Anyone who is interested in finding a partner has a viable option on your website. But at the same time, the complications are also immense when you talk about the general dating website. You need to create various categories where people of different preferences will be placed. Especially when you are looking for local as well as international marketing, general dating is one of the sought after options that you have. With general dating business though, the only disadvantage that you have is you are similar to any other dating website. Thus, it is quite a challenge for you to make a mark in the market and differentiate yourself. You need to work very hard on the promotions to race ahead in the market and create a buzz. Is niche dating a better idea? The second and probably the better idea that you have in mind is going for the niche business. You should look to engage in any particular niche which makes it easier for you to find your target audience. Most of the people who are serious about dating make use of the niche dating website. They only like to find the partners with whom they can easily tangle with and thus they will be more lured about your business. At the same time, when you focus upon a particular niche only, things tend to get easier for you. You just have to focus on a limited set of keywords for the online dating business promotion. At the same time, the options that you have in mind are also limitless thus giving you the luxury to engage in the kind of business that you want to. But before you opt for the niche dating, make sure that you select the right niche for your business. One of the smartest options that you have in your hand is going for the senior citizen niche which is immensely popular these days. But at the same time, there are not many websites that offer the similar types of services so you have a good chance in this niche. So, what is the final word? Well, both the general and niche dating are good options for you, the general dating is common and there are many websites that you have to compete with. With niche dating though, you have to focus on a particular facet and thus things will get easier for you. But when you are planning to come with a big website, general dating is a better option any day.